Thanksgiving is a loaded holiday for a lot of queer folks. For some, it means going back into the closet entirely. For others, it means going partially back in the closet. Maybe your family knows you’re gay, but they don’t want you to be “too gay” at the dinner table. Maybe only some family members know because it would “just be too hard” for others. The fact that Master Of None frames its Denise-centric episode around this particular holiday is significant. Lena Waithe and Aziz Ansari have written an authentic and complex story about coming out, brought to life with incredible, dream-like direction from Melina Matsoukas. It’s one of the best episodes of this ambitious series, and it’s one of the best coming out stories ever seen on television. Television tends to treat coming out as a straightforward, linear process, cramming it into the confines of a traditional narrative arc. Master Of None, however, rarely follows a traditional narrative arc. In “Thanksgiving,” we see Denise and her family—her imposing mother Catherine (Angela Bassett), her rambunctious Aunt Joyce (Kim Whitley), and her grandmother Ernestine (Venida Evans)—celebrating Thanksgiving through the years, starting in the early 1990s all the way up to the present in 2017. We see her as a young girl, not quite out to herself or others, fixating on the women dancing in the background of D’Angelo’s videos. We see her as an awkward teen confessing her crush on a girl named Erica to her best friend Dev, not quite ready to say the word “lesbian,” substituting “Lebanese” instead. We see her come out to her mom in a diner, and we see her bring a girlfriend home for Thanksgiving for the first time, out to her mom and aunt, who are very uncomfortable the second Denise and Michelle show any kind of affection. Coming out isn’t a straightforward, linear process. It’s something we do all the time. 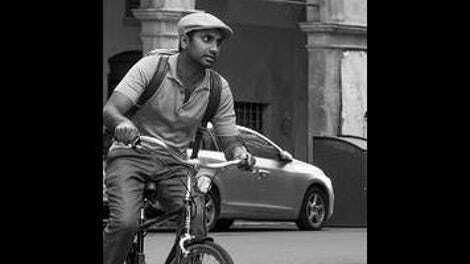 It isn’t as simple as saying “I’m gay.” Master Of None does show that specific moment, the first time Denise says those words out loud to her mother. It’s a Very well done scene, playing into the nuances of the situation. Catherine doesn’t outright embrace her daughter nor does she outright reject her. Her reaction, rather, is an all too common one: She starts crying. She cries, and she tells Denise she just doesn’t want her life to be hard. Even the most loving, liberal parents often have this reaction to their kids coming out. But that reaction ignores the fact that when queer people come out, we’re happier. Our lives are better. Life’s hard living in the closet. Throughout the episode, Denise is happiest when staring up at a photo of Jennifer Aniston while high, when talking openly about her relationships with women to Dev, when wearing the masculine-of-center clothes she prefers over the dresses her mother forces her into. Catherine wonders if it’s her fault her daughter is gay, which again is an all too real response parents sometimes have. Catherine is the perfect example of someone with good intentions who still manages to say and do the wrong things, and Waithe and Ansari’s script handles that complexity well. Of course, it also helps that Bassett is a powerhouse actor. Her performance brings out the layers to Catherine, who is genuinely trying to be a good mother even if she can’t see her daughter for who she is. And the episode doesn’t end with Denise telling her mother she’s gay. We see three more Thanksgivings of Denise navigating her identity and how to talk to her mother about it. By going back into the past to show Denise figuring out things internally, showing her express those feelings externally to Dev and her mother, and showing some of the aftermath, the ways she and her family grow over the years, Master Of None presents much more than a simple “coming out story.” The juxtaposition of Denise coming out to Dev and, later in life, coming out to her mom is compelling in and of itself. Coming out goes different ways with different people. Denise is nervous yet more comfortable talking to Dev. With her mom, she basically blurts it out out of frustration. And for both, the camerawork underscores those differences, fluid and intimate on Dev and Denise and more stiff and suffocating on Catherine and Denise. The episode’s structure—one Thanksgiving after the next—suggests that Denise’s queer journey may evolve, but it’s never really over. My friends and I often talk about our “roots”—the person, usually a celebrity or fictional character, who helped us initially realize we were gay. Jennifer Aniston wasn’t one of my personal roots, but it’s one I hear a lot, and I love that she’s so clearly Denise’s. The fact that even her mother picked up on her making eyes at Rachel on Friends is too real. I had a few roots, and they were all very obvious. My friend likes to remind me of the time I screamed at him on a bus because he said he didn’t think Angelina Jolie was pretty. We’re both gay now. The conversations Denise and her family have around the dinner table are also specific and interesting. Master Of None doesn’t whitewash its portrayal of a traditional Thanksgiving dinner. In fact, it presents a specifically Black one. Denise and her family talk about disenfranchisement (which young Denise adorably misinterprets as a franchise, like McDonald’s), the O.J. Simpson trial, and Sandra Bland and police brutality. Adopted early on into the family’s tradition since his own doesn’t celebrate the holiday, Dev is present for all of these Thanksgiving meals, and the episode serves as great backstory for their friendship. This show excels at making friendships believable and meaningful. The younger actors playing both Denise and Dev impressively channel the physicalities and cadences of Waithe and Ansari. It isn’t surprising that the episode feels so real and authentic given that Waithe pulled from her own experiences.